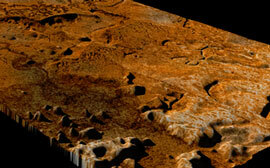 JPL asks Is that Saturn's moon Titan, or Utah? "Planetary scientists have been puzzling for years over the honeycomb patterns and flat valleys with squiggly edges evident in radar images of Saturn's moon Titan. Now, working with a 'volunteer researcher' who has put his own spin on data from NASA's Cassini spacecraft, they have found some recognizable analogies to a type of spectacular terrain on Earth known as karst topography. A poster session today, Thursday, March 4, at the Lunar and Planetary Science Conference in The Woodlands, Texas, displays their work." Facebook for WebOs gets a much-needed update. Indeed, and I love it. Especially the way friends' Facebook profile pictures are now automatically mapped to their phone numbers from my Exchange database. 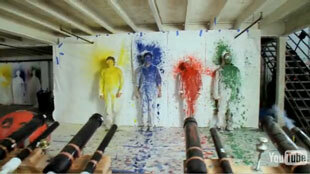 I'll leave you with this pretty excellent Rube Goldberg machine, featured in an OK Go music video. Stick with it because it keeps getting more and more radical... anything which features a pachinko machine has to be great, and there's at least one piano destroyed, as well as a TV sledgehammered... and it all ends with the band getting shot with paint. Yippee.